Branding & Campaign Management gives you the perfect chance to reach your target audience and at the sometime build your brand prominence. 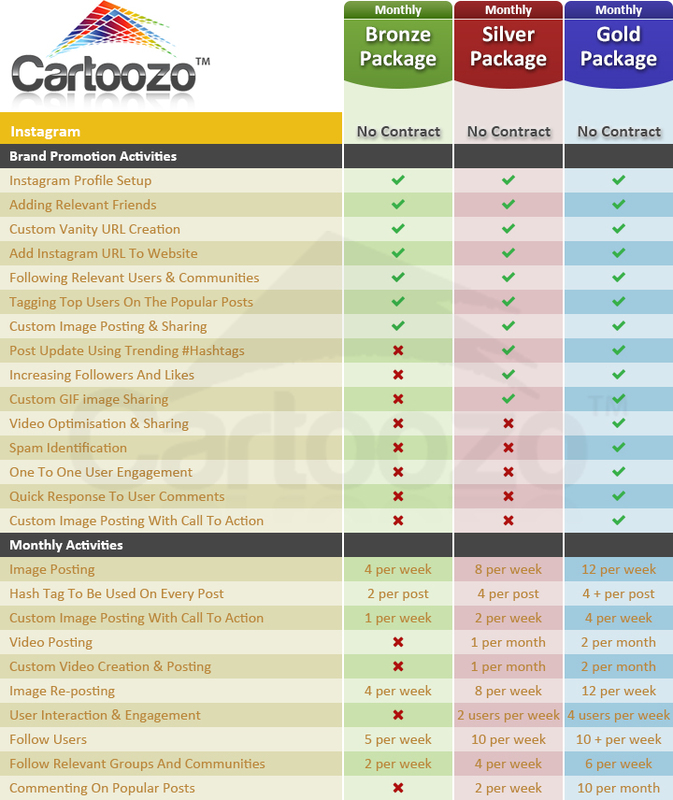 At Cartoozo, we work with you to make your presence known on Facebook, Twitter, LinkedIn and Instagram to ensure your brand is being reflected the way you want it to be and also to ensure that you stand out, increase your brands prominence and improve your brands reputation. All packages are subject to our Terms & Conditions. 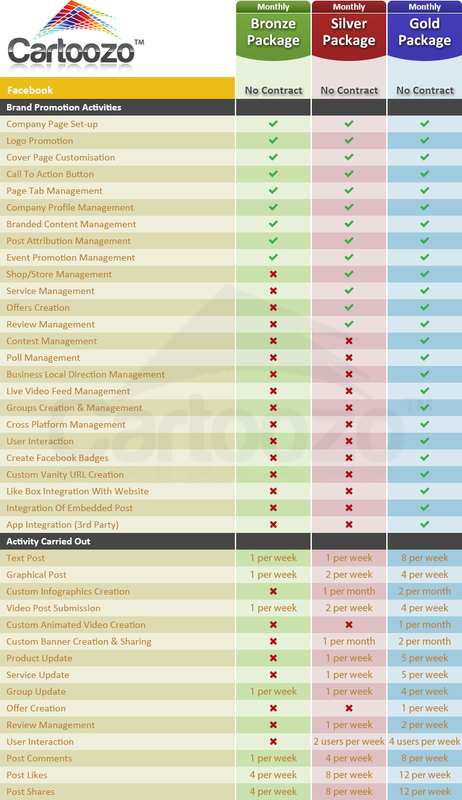 Please read these in detail before signing up. 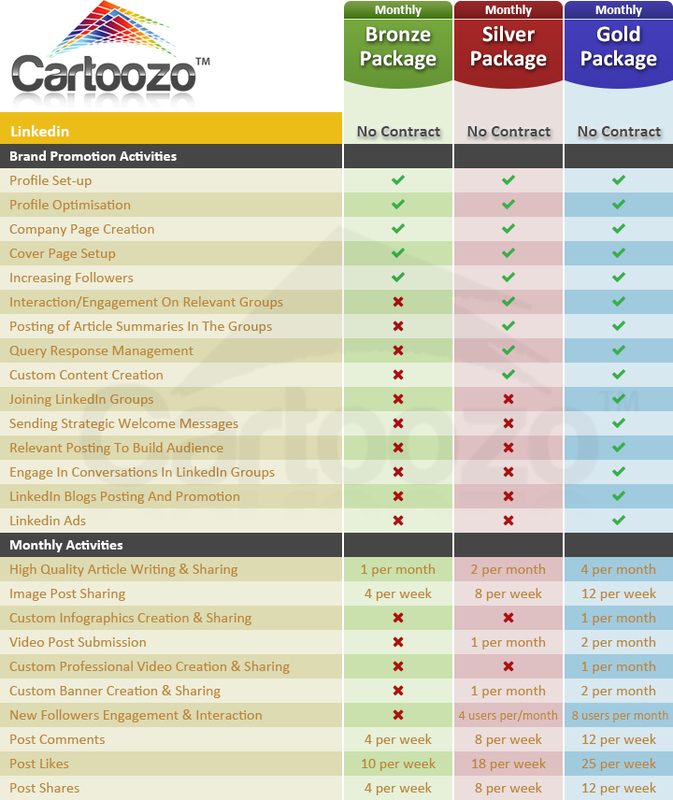 Cartoozo does not guarantee to get results for all clients as SEO is an ever changing industry together with all of the new updates carried out by Google and other search engines. 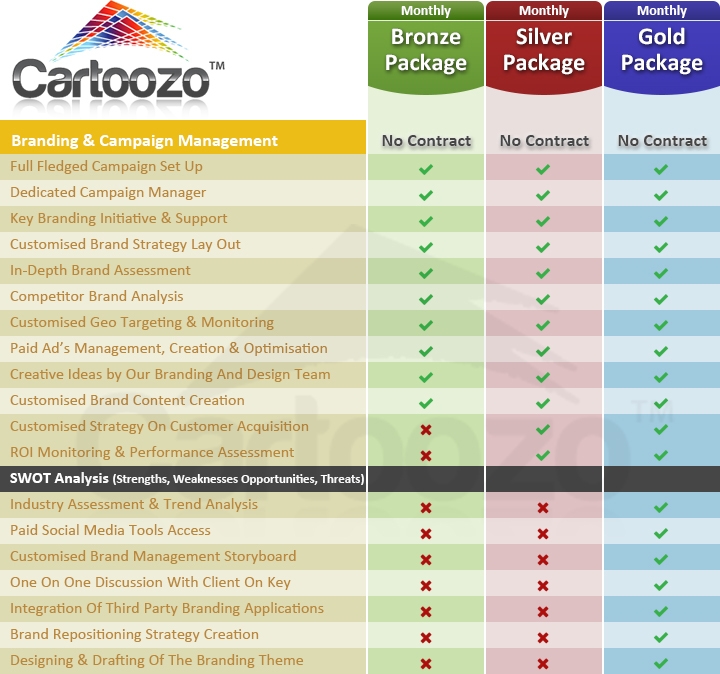 Cartoozo will work diligently to ensure that we carry out all the work of our best ability in order to get you the best possible results. We can sometimes give you a general guideline in terms of ranking results, but we are not able to guarantee results or work on a guaranteed basis. 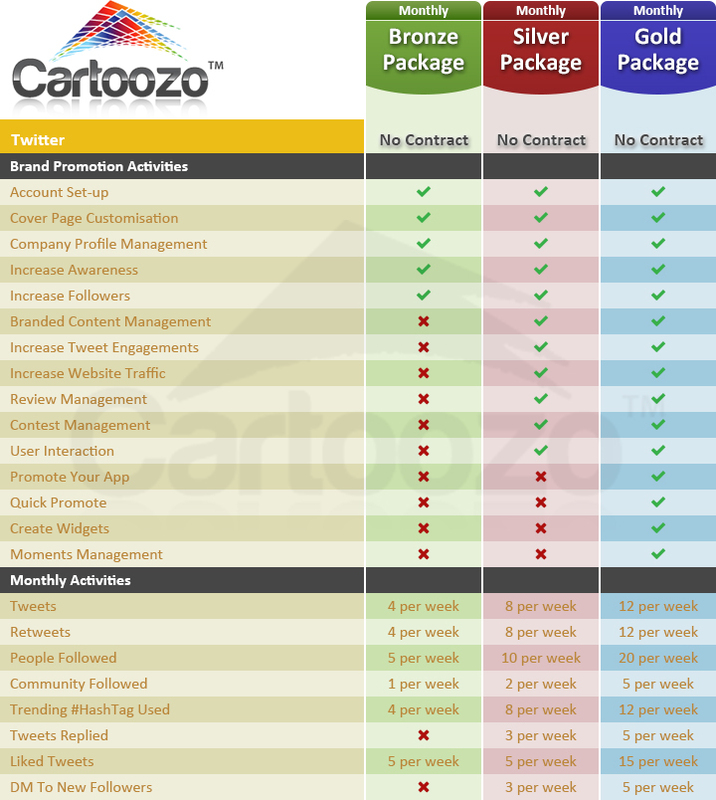 All payments made to Cartoozo are for our services which are done on a monthly basis to try and help you to achieve better organic results.